"Every artist dips his brush in his own soul, and paints his own nature into his pictures. —Henry Ward Beecher My current work is inspired by the jazz music of early pioneers such as Charlie Parker, John Coltrane, Sonny Clarke and dozens of others. The movement, rhythm, instruments, and color of the music opens a portal to an unexplored world—through the looking glass. " 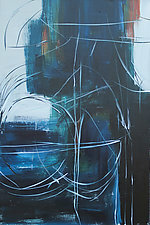 Michigan native Jane Robinson is an innovative contemporary artist who works in acrylic paint. 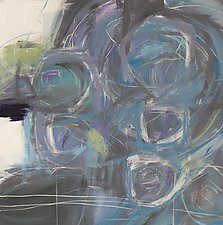 Her work is influenced by the early abstract movement, including artists such as Franz Kline and Renata Bernal. Robinson believes that art transcends the barriers of time, geography, culture, color, or faith. 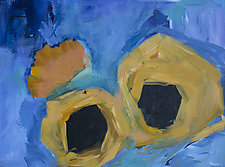 Jane Robinson rarely begins a painting with a preconceived notion of what will emerge. 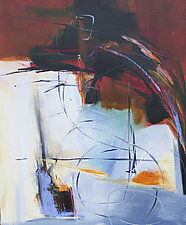 Her preferred surface is canvas, where she builds layers of color and texture one upon the other. She uses hake (pronounced hockey) brushes with fine goat hair to begin the first layer. 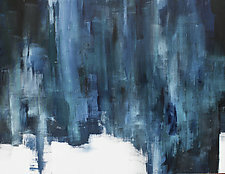 She then builds upon this by interweaving color using a variety of tools and techniques, which may include palette knives, tissue paper, or other items. Jane Robinson is a self-taught artist who has benefitted from working in a community of other artists. She was the executive director of an artist live/work community where techniques, inspiration, and critiques were an integral part of an artist?s development. 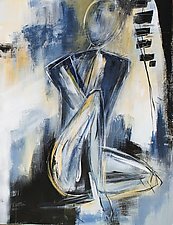 She currently teaches workshops on acrylics, abstract painting, and artist creativity.